You never know what’s in the water. It makes sense to protect yourself and industry with quality water system. Water may be safe one day and contaminate the next. 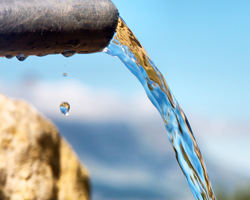 You should treat water anytime you are concerned with water quality. Specific reason for treating water varies from application to uses. Potential presence of variety of microorganism in river water to high dissolve solids in ground water directly affect to human being and need quality water treatment systems. Water treatment describes those industrial-scale processes used to make water more acceptable for a desired end-use. These can include use for drinking water, industry, medical, hotels, schools and many other uses. Shubham range of Water Treatment Plant consist of media filter, Ion exchanges, membranes separation like Reverse Osmosis Plant, Ultra Filtration system is convenient and less costly than overall Life cycle cost of equipment. Best of all, it pays for itself over time and makes a difference you will notice every day. Waste water generation and pollution pose a critical challenge in many developing countries. In urban areas, it is becoming difficult for the authorities to manage water supply and wastewater treatment. Pollutants must be removed from the water to protect the environment and public health. When water is used by our society, the water becomes contaminated with pollutants. If left untreated, these pollutants would negatively affect our water and environment. For example, organic matter can cause oxygen depletion in lakes, rivers, and streams. This biological decomposition of organics could result in fish kills and/or foul odors. Nutrients in wastewater, such as phosphorus, can cause premature aging of our lakes, called Eutrophication. Waterborne diseases are also eliminated through proper wastewater treatment. Additionally, there are many pollutants that could exhibit toxic effects on aquatic life and the public. Wastewater can also be viewed as a new source of water which can be used for many non-potable applications. Wastewater recycling and reclamation is an effective and economical solution of increase water demand and scarcity in urban and rural area. Waste Water Treatment, recycling and reclamation includes physical, chemical, and biological processes to remove contaminants from wastewater. Its objective is to produce an environmentally safe fluid waste stream (or treated effluent) and a solid waste (or treated sludge) suitable for disposal or reuse (usually as farm fertilizer). Explore luxury of swimming pool with most experienced designer and builder of swimming pool. 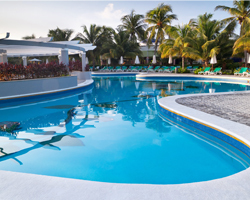 You no longer need to dream about the perfect pool for your exceptional experience. Focused on state of the art construction & engineering, advanced technology and cutting-edge equipment to turn ordinary properties into spectacular outdoor living spaces. Shubham Inc. is the prominent custom pool builder& contract inwestern part of India. Innovation in design, attention to detail and dedication to quality sets Pool Concepts By Shubham Inc. apart from all other pool contractors. 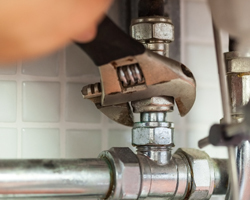 In a global economy where budgets are carefully crafted and expenses closely monitored, our clients depend on us to provide total operation &maintenance services projects of any scale that align with their business goals and our professional commitment to excellence and safety. 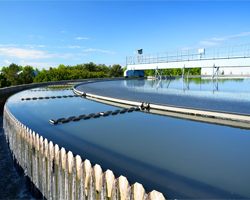 From ‘Concept to Operations’, and provides ‘localized’ With over 7 years of experience in designing and supplying a full range of industrial water & wastewater treatment systems.We at Shubham, understands what is required to enhance the life-cycle of the plant equipment, and accomplish optimal performance and minimal downtime. Our Operation & Maintenance (O&M) team is driven by the distinct requirement of each customer, we work closely with the client’s utility management team to identify goals and create an appropriate O&M plan to provide a value proposition in terms of – improved equipment uptime and performance, enhanced water productivity, and operating cost optimization. We collaborate with customers to create turnkey solutions with the full rangeof resources necessaryto meet their requirements. Our centrally managed, customer-first approach ensures effective communications resultingin responsive services that evolve with changing business needs.